Operations and maintenance manuals for buildings and marine vessels typically consist of paper documents from multiple sources that can be unwieldy, difficult to update, inconsistent, and easily damaged or lost. 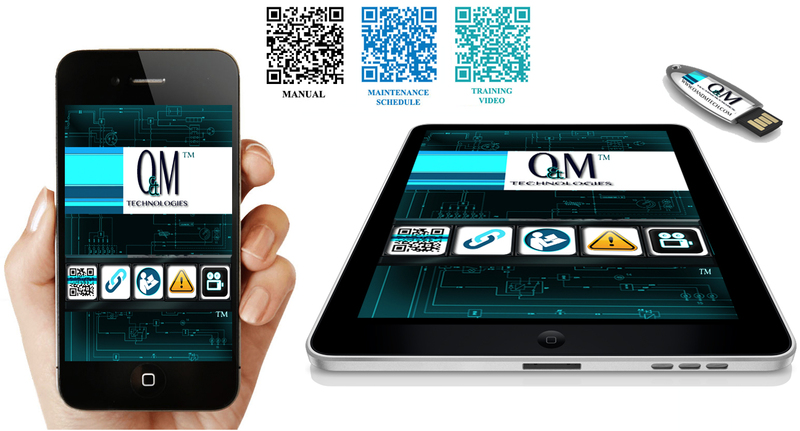 O&M Technologies’ app for iPad, iPhone, mobile devices and desktop transforms complex facilities management documents, safety documents, and many other information rich resources (videos, renderings, architectural drawings, photos, etc.) into digital data and information visualizations that are always current, comprehensive, easily reproducible, securely stored, and instantly accessed from anywhere. Along with this, O&M Tech’s unique electronic dashboard interface; custom visualizations of system information; QR tagging systems; and photo-mapping documentation are the future of facility operation and maintenance. O&M Technologies can also integrate most CMMS systems into our app for a fully functional professional interface that instantly allows access to all facets of facility management, saving you both time and money. We make “big data” small. O&M Technologies’ unique, customized dashboard interface allows for simple point-and-click navigation through disparate and complex documents, giving users the ability to effortlessly drill down to critical information literally within minutes. Our intuitive, hyper-linking structure creates multiple pathways to information as it delivers increasingly more specific details contained in the digitized document set. O&M Tech also creates and integrates custom visualizations of your system information. These custom visualizations take complex data about your marine vessel or facility, and make it immediately visually perceptible. 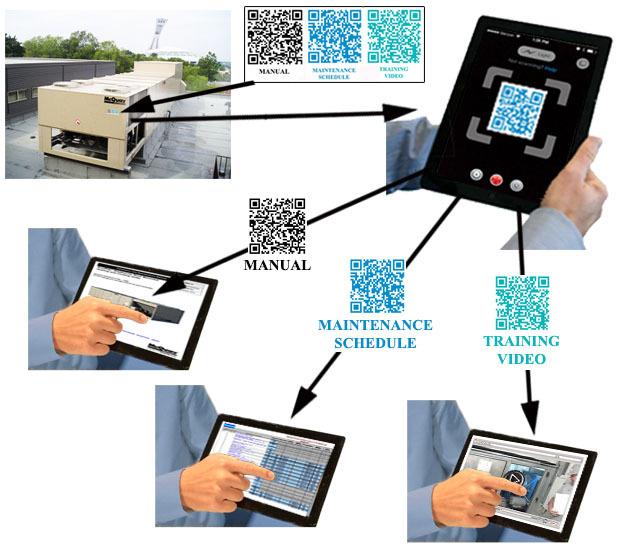 Through O&M Technologies’ QR tagging system, users are given immediate on-site access to all information about a particular piece of equipment. Simply point an iPad or cell phone camera at the QR tag mounted on the equipment, and instantly access manuals, maintenance history, vendor information, and all associated images, videos and other critical data—troubleshooting has never been so easy. O&M Tech’s unique photo-documentation mapping system creates a path to critical information that requires no advanced knowledge of equipment, as it relies on intuitive image-mapping of the facility or vessel as the means of accessing pertinent data. O&M Technologies also provides ongoing manual updates, technical support and video and image production per subscription agreement. Allow us to show you how O&M Technologies advanced operations and maintenance systems can improve efficiency and save you money. Please contact us for an estimate: 888.966.0941 (toll free in the US) or, email info@oandmtech.com.